Finegrip has special combination of the Ink and the soft tip resulting in smooth pressure-free writing. Tip size of 0.7mm provides fine writing while the elasto grip provides comfortable writing. We deal in Use and Throw Pens, Gel Pen, Icy Pen, Prism Pen, Sico Pen, Power Pen and Tasan Pen and many maore at reasonable rate. Rates are for wholesale market. 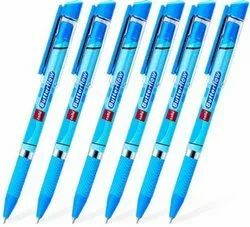 For years we have been engaged in offering large variety of Cello Ball Pen. Keeping in mind ever-evolving requirements of our respected clients, we are offering a premium quality range of Cello Ball Pen.